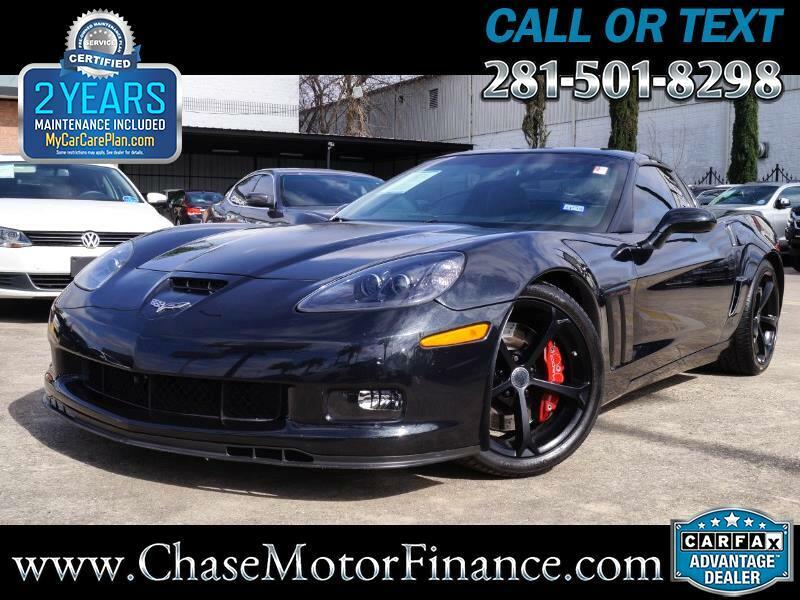 Chase motor finance is exceptionally please to present this *IMMACULATE CONDITION* CHEVROLET CORVETTE Z16 GRANDSPORT 3LT!! Finished in Carbon Flash Metallic exterior and black Leather cabin this Corvette has been meticulously kept! Vehicle is a non-smoker and pet free! Both the exterior finish and the leather cabin have been well maintained. The interior leather is fresh and clean; with not even a hint of wear! The exterior finish is spotless through and through! please refer to pictures and have a good look at this awesome Grand Sport for yourself! Options include: 3LT, Heads up Display, Keyless Entry; Navigation system; Sport mode; Rear Camera Touch start; Bose Premium sound System; Paddle shifters, Alloy Wheels; Heated seats; Power Seats; Automatic Windshield Wipers; Memory seat; Tire Pressure Monitor; Traction Control; AUX/USB Connection; Homelink; Multi-function Steering Wheel;Cruise Control; and many More! Our mechanics have thoroughly inspected this Chevrolet and have found no mechanical problems! The 6.2L V8 engine is responsive and the automatic transmission shifts smoothly into gears WHAT RIDE & DRIVE !! Feel free to contact us should you have further questions. Message: Thought you might be interested in this 2012 Chevrolet Corvette.